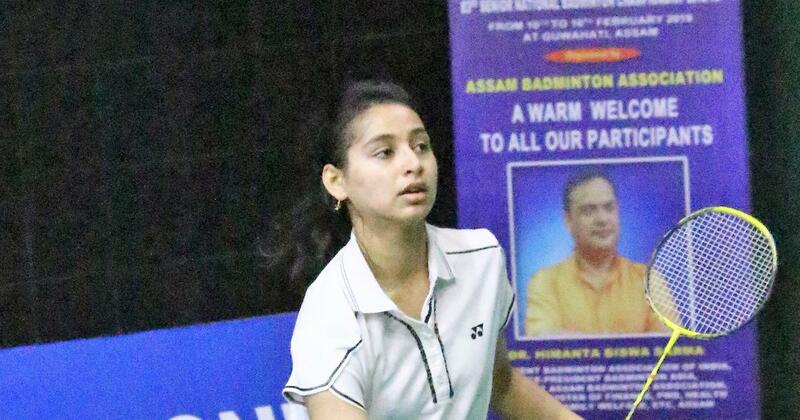 The 20-year-old reached the quarterfinals of the senior nationals and will face PV Sindhu. Riya Mookerjee kept mumbling to herself between points during her pre-quarterfinal match against Kanikal Kanwal at the Senior National Badminton championship in Guwahati on Thursday. At times, the changing expressions on her face made one wonder what she was thinking. She would then lose a few points in a row and her father would then start egging her to regain her focus. To her credit, the 20-year-old managed to pull herself back from couple of those situations to win 21-11, 17-21, 21-18, in an hour and eight minutes. Mookerjee, the daughter of former badminton player Inderjeet, whose career was cut short at the age of 28 after he lost mobility in his playing arm in a car accident, was a promising junior who made a mark in both singles and juniors. She was initially coached by her father, who learnt to spar with his left hand to coach his daughter, and then the late Badal Bhattacharjee before shifting to Uttar Pradesh Badminton Academy in Lucknow in 2012 to further her career. But in the four years she was in Lucknow, Mookerjee oscillated between playing exceptionally well at some tournaments and losing her focus completely in others. Things unraveled further when the sexual harassment controversy in the academy that led to the arrest of then UPBA secretary Vijai Sinha and his son Nishant Sinha made her hop around to Hyderabad looking for a centre to train. Her father, who works with Hindustan Petroleum, also got a transfer to Hyderabad to focus on his daughter’s career and continues to help her during training whenever required. “I first went to Gopichand Academy and trained there for four months. But they needed a No Objection Certificate from UPBA for me to join the academy but I never got it. Then I had to shift to (former national coach SM) Arif sir, where I finally started finding my footing,” Mookerjee told Scroll.in after beating Kanwal. At the Lal Bahadur Shastri stadium in Hyderabad where she trains now, Mookerjee doesn’t have many women players to train with but makes up for it by sparring with the boy but says it is the mental freedom that she is enjoying is helping her perform a lot better. “In Lucknow, there was a constant pressure to perform and that used to get to me. Here, I am lot more relaxed. But I still need to deal with stress well and focus better if I have to performance consistently well. 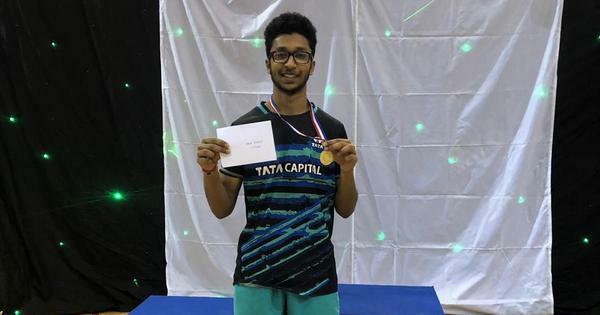 “I have started working with a yoga instructor now and things are improving,” said Mookerjee, who played the finals of the Tata International in 2017 but has struggled to consistently play at that level thereafter. When asked about the mumbling during the match, Mookerjee says it has become a habit for her as she keeps reminding herself about the mistakes she should not make and the strengths of her opponents between points. “I normally travel to tournaments alone and there is no coach with me. So it becomes all the more difficult for me to stay focused when things aren’t going my way. So I keep talking to myself about the tactics between points to figure out my strategy,” she explains. Mookerjee knows that in an era where even the teenagers are pushing for regular senior team slots, she may perhaps already be late to the party at 20 but for now, she doesn’t want to focus on the past. “When I was younger, my father told me to focus on academics if I didn’t want to take the stress of playing this sport since he knew how difficult it would be. But once I decided to make a career in the sport, he told me that I should be prepared to fight any situation and opposition if I have to succeed. “I am aware that it is not going to be easy but if I can be more consistent, I know I can achieve a lot more,” said Mookerjee, who will face PV Sindhu in the quarterfinals. “Against Sindhu, that will be my aim... to give my best... to show what I’m really all about,” she adds.